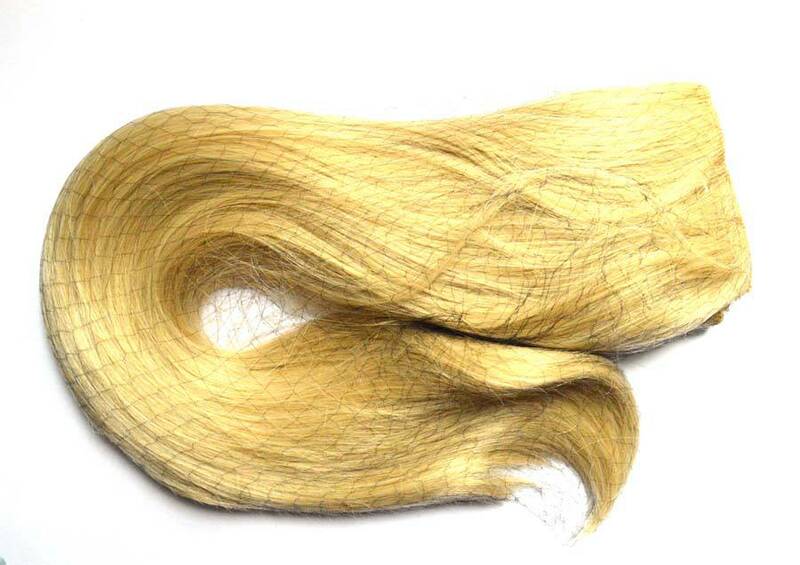 Ever since Year 11, I’ve been obsessed with hair extensions. My genes didn’t bless me with thick, rich, healthy, long hair (my sister took all those eggs from the basket) so for me, the only way to getting locks that burst with volume is by faking it. 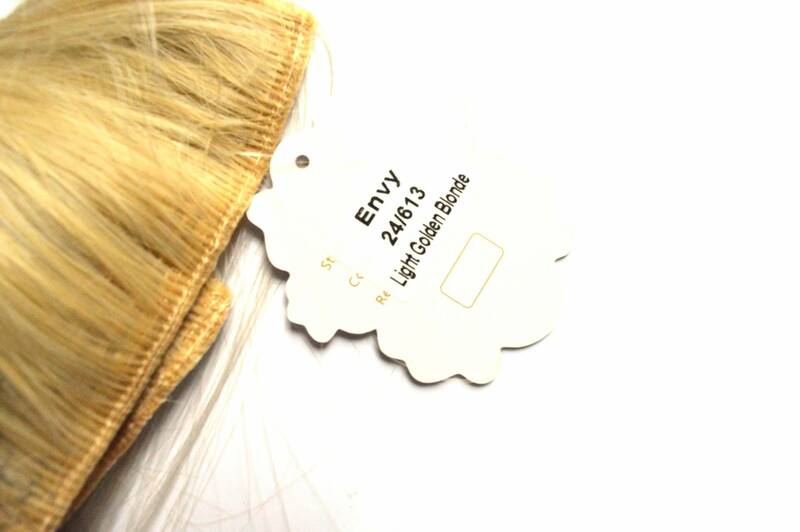 I remember getting my first pair of Hair Extensions from an Original Factory Store for about a fiver and they were wirey plastic things that looked rubbish, every since I opted for real hair extensions but when Koko Couture got in touch I was eager to try out their non-real hair extensions to see if my opinion of them have changed. I’ve seen a lot about this brand on Facebook and was very excited to try them out, so continue reading to find out exactly how I got on. Price / This blew my mind if I’m honest, these extensions are priced at a low £19.99, and for those that have a history of hair extensions, you’ll know just how expensive they can become so these are brilliant for those unsure where to start, I’d definitely recommend to give these ago before splurging on a more expensive competitor. Colour / I was matched with shade #24/613 which is the colour Light Golden Blonde which is the perfect match for my hair in its current state. I sent the guys at Koko Couture a picture of my hair in natural light and they got it spot on. I know a lot of people use this service on Facebook too so if you’re looking for the perfect colour match I know they’d be happy to help, again I’d recommend this especially if you’re new to hair extensions. Placing in hair / This took a little getting used too as I am used to smaller wefts, so I kept finding these were showing when my hair was styled. That said, I think that’s just because I’m used to different types of extensions, if you’re a hair extension newbie, I’m confident you won’t have this issue. 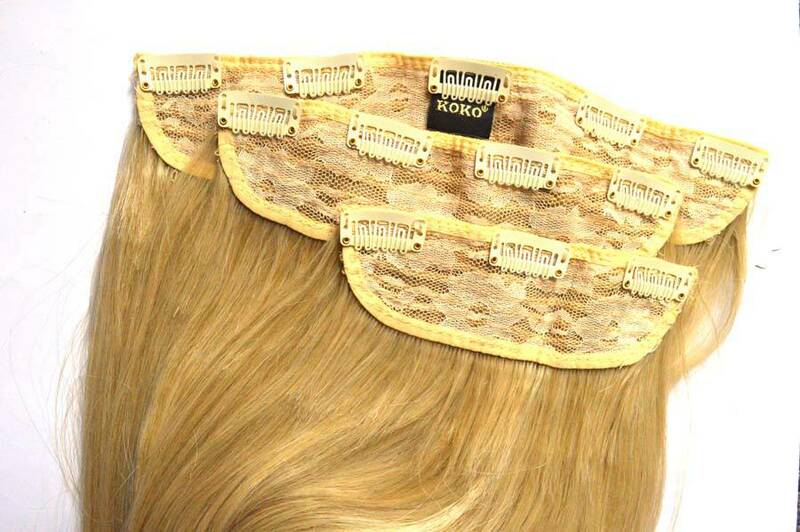 I’d suggest placing the smaller weft as low in your hair as possible, the second you want to add a section above this and the last just above half way up your hair. I could probably get away with wearing just the two wefts to be honest, but thicker hair will need all to look incredible whilst looking natural too. Length / These extensions are 24 inches in length and are a bit too long for me to be honest. They did make me feel incredibly glamorous and every time I’ve worn them people have thought my hair has miraculously grown overnight, sigh, I wish. I was worried they would look too silly and I was surprised by how much I liked them, but next time, I’ll pick up ones that are probably 20 inches instead as my hair isn’t very long as the moment and these are very dramatic. That said, anyone with long hair, you’ll adore these, those will shorter, go for shorter (obviously). Styling / This is my disappointment with these extensions if I am honest. I love the flexibility of my real hair extensions which I can style as I would my normal hair with everything from curling them to dying them. With these being made of synthetic hairs, it limits what you can do, you can only use a maximum of 160 degree heat on them and does limit you. I mean, for the price, you could get a straight pair and a curly pair, but I do like having them all in one. My set are straight and have remained that way. I have never had extensions straight before as I always opt for curls when going out, but this was interesting to try something different. I felt like curly ones would look more natural on me, although I like these much more than I could imagine, obviously consider how you’ll wear your hair when you want to add extra thickness and order for those occasions. Will definitely try using these when I have my hair in a ponytail for added thickness and length. Wear / I imagines these would feel heavy when wearing but they were surprisingly comfortable over a 6/7 hour period. I don’t wear extensions daily (as much as I’d love too, but I don’t have the patience to put in clip ins daily) and so I don’t know how they’d perform in that respect, but for special occasions I’d definitely recommend them. To conclude, I’d definitely say these are well worth the £19.99 and perfect to introduce anyone into the world of hair extensions, I do much prefer my real hair ones, but these are very comparable all with the only compromise of not being able to heat style them as I would like. 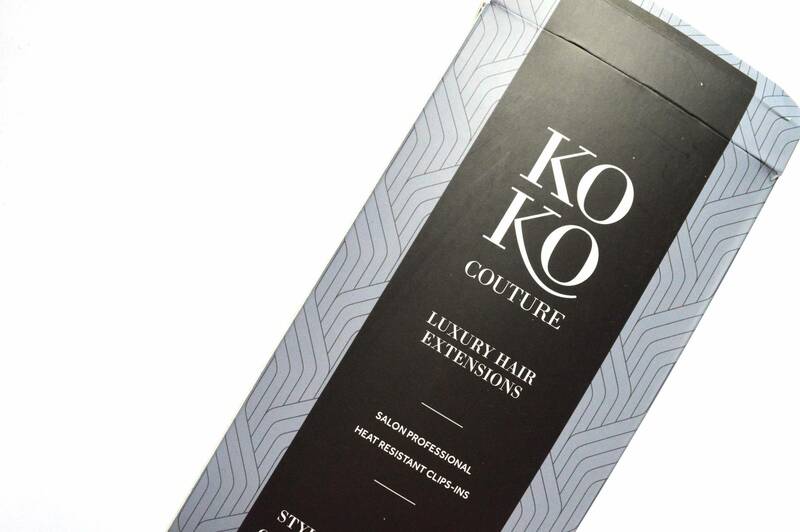 Koko Couture are a great company as colour matching hair and I was definitely proved wrong that synthetic hair means bad quality, these are fantastic for the price and very comfortable to wear. I was expecting to be disappointed but I would definitely recommend these to anyone looking to try extensions before splurging on real hair ones so be sure to check out the Koko Couture website here to find your perfect shade! What do you think about these extensions? Let me know in the comments below! Dupe Haul – Makeup Revolution / A Huge NYX Haul! / Glamour X Latest in Beauty Spring Edit Box.